BETHLEHEM (Ma’an) — Israeli Prime Minister Benjamin Netanyahu said that he “hoped” US President Barack Obama would not seek to establish a Palestinian state at the United Nations on Saturday. 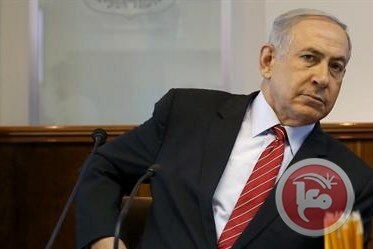 In an interview aired on Israel’s Channel 2 on Saturday, Netanyahu was asked if Obama had promised him that he would not seek to establish a state of Palestine without Israel’s cooperation before the end of his term in January. The interview came two days after Netanyahu and Palestinian President Mahmoud Abbas made speeches at the 71st session of the United Nations General Assembly, during which they exchanged heated accusations regarding Israeli settlement building, the Balfour Declaration, and each other’s commitment to resolving the Israeli-Palestinian conflict. Over the past several months, France has been leading renewed peace efforts between Palestine and Israel with the aim of solving the decades-long conflict between the countries. However, Netanyahu staunchly rejected the multilateral French initiative in April, saying the “best way to resolve the conflict between Israel and Palestinians is through direct, bilateral negotiations” without Palestinian preconditions. While Russia reportedly expressed interest in conducting bilateral negotiations earlier this month, Netanyahu had welcomed Egypt’s bilateral efforts through restarting the 2002 Arab Peace Initiative. The Palestinian Authority has repeatedly expressed support for the French initiative, and in April shelved the submission of a new anti-settlement resolution to the UN out of fear that doing so could thwart progress of new French proposals, causing outrage among various Palestinian political factions. Israeli Minister of Defense Avigdor Lieberman and Netanyahu issued a joint statement in May expressing their support of reviving the Arab Peace Initiative for Israeli-Palestinian negotiations, which called for an Israeli withdrawal from the occupied Palestinian territory in exchange for full normalization of ties with Arab states. All past efforts towards peace negotiations have failed to end the decades-long Israeli military occupation or bring Palestinians closer to an independent contiguous state. The most recent spate of negotiations led by the US collapsed in April 2014. Israel claimed the process failed because the Palestinians refused to accept a US framework document outlining the way forward, while Palestinians pointed to Israel’s ongoing settlement building and the government’s refusal to release veteran prisoners. While members of the international community have rested the solution to the Israeli-Palestinian conflict on the discontinuation of illegal Israeli settlements and the establishment of a two-state solution, a number of Palestinian activists have criticized the two-state solution as improbable, unsustainable and unlikely to bring durable peace, proposing instead a binational state with equal rights for Israelis and Palestinians.